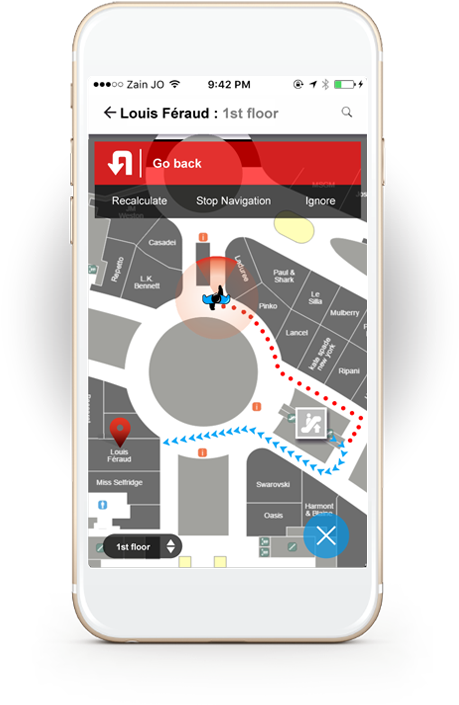 PenguinIN real-time wayfinding solutions provides turn-by-turn navigation to points of interest inside venues. With enterprise-grade accuracy that is continuously monitored and strictly ensured by the PenguinIN team. Our platform provides superb visitor experience where being lost or disoriented is a thing from the past. Locate friends and family inside a mall with a navigate-to option. + Natural language instructions with references to stores and points of interest. © Penguinin Inc. All Rights Reserved.